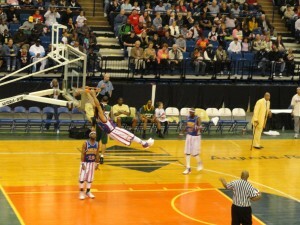 Harlem Globetrotters come to Augusta! 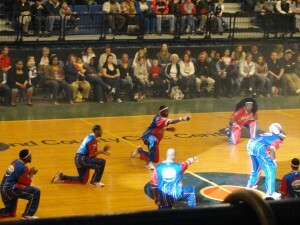 The Harlem Globetrotters came to Augusta for a one-night only engagement at James Brown Arena. 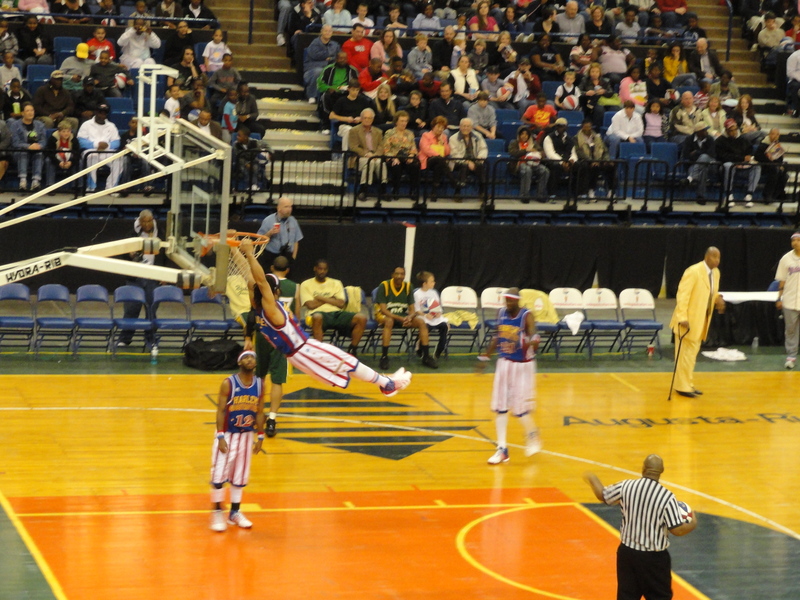 I remember going to a Globetrotters game as a little girl and enjoying their wild antics, so when I heard they were coming to Augusta I knew I had to see them again! 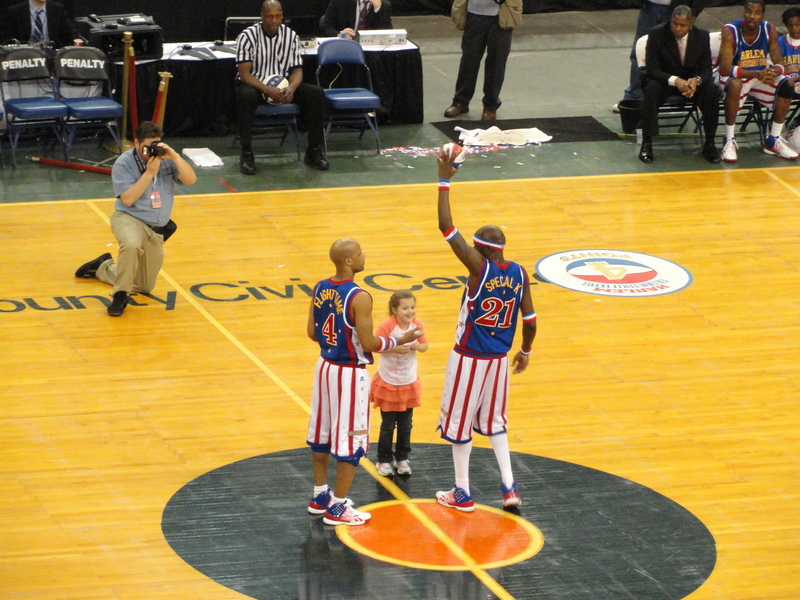 The Harlem Globetrotters have been entertaining audiences for 85 years. They have performed for everyone from Presidents to Popes and have dunked their way into the hearts of basketball fans of all ages. The show began with some cool break-dancing moves to the unmistakable sounds of the Globetrotters’ theme song, “Sweet Georgia Brown.” It really got the crowd going as the Globetrotter’s took the floor and the game was underway! 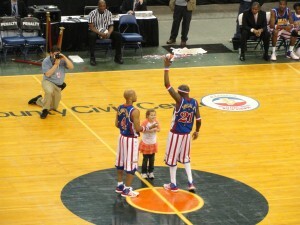 The basketball game was almost secondary, as the Globetrotter’s fancy ball-handling and awesome slam dunks steal the show. If you go to a game and you are lucky to have tickets on the sideline, there’s a good chance that they will make you part of the show! 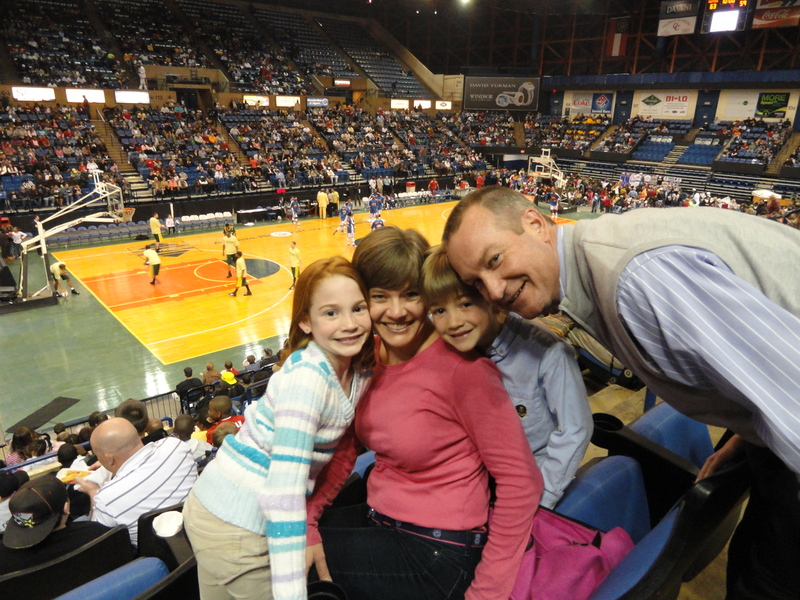 Everyone is a target at the Globetrotter’s game, from little kids, to grandparents! The Globetrotter’s won the game 89-77, which was no surprise since their hapless opponents, the Washington Generals haven’t won a game since 1971! 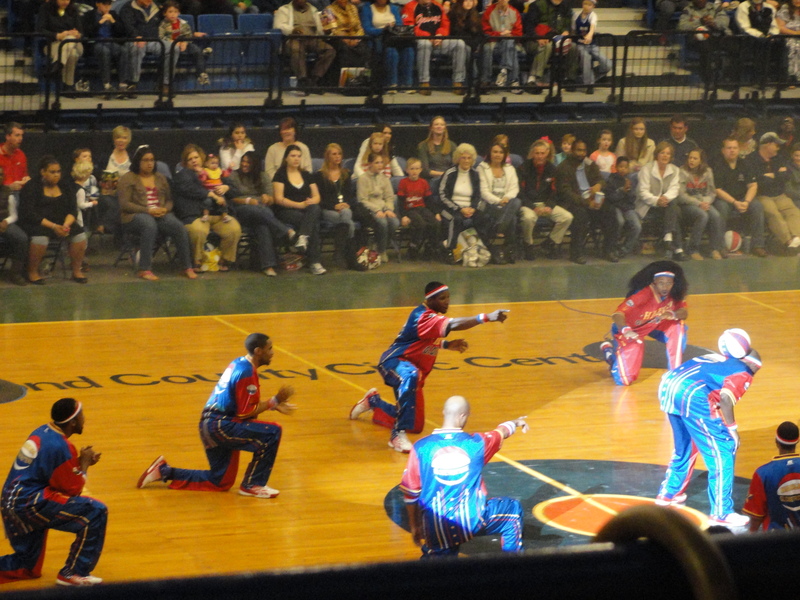 The Harlem Globetrotters game was just one of many events held at Augusta’s James Brown Arena. 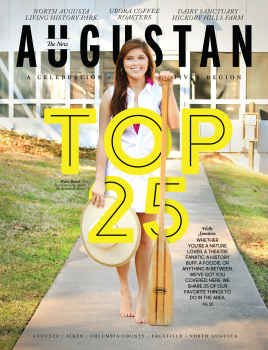 The venue hosts sporting events, concerts and trade show throughout the year. Visit http://www.jamesbrownarena.com/ for more information. To catch a Harlem Globetrotter’s game near you, check out their tour schedule at http://www.harlemglobetrotters.com/.